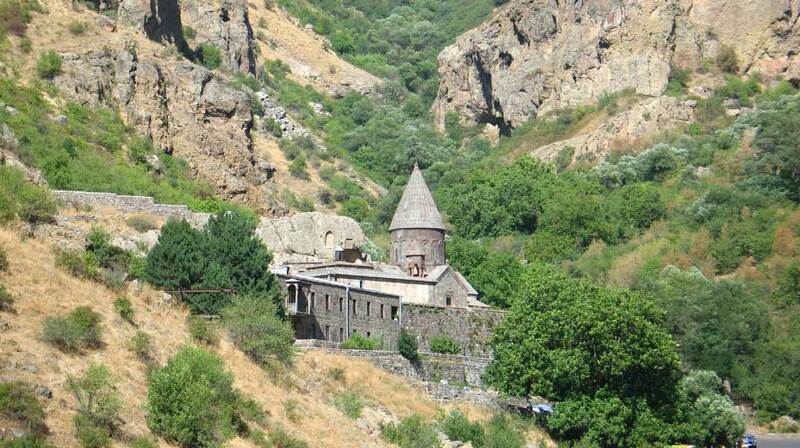 Geghard monastery is the unsurpassable masterpiece of the 13th century Armenian architecture. Some of the churches of the complex are masterfully hewn in a huge rock. From the outset the complex was called Ayrivank (cave monastery), later it was renamed Geghard (lance), as the lance used by the roman soldier to sting Jesus Christ’s side, was kept in this monastery for many centuries. Due to its construction, Geghardavank serves the best place for singing spiritual songs. The complex is rich in subtle sculptural embellishments and many striking khachkars (cross-stones).